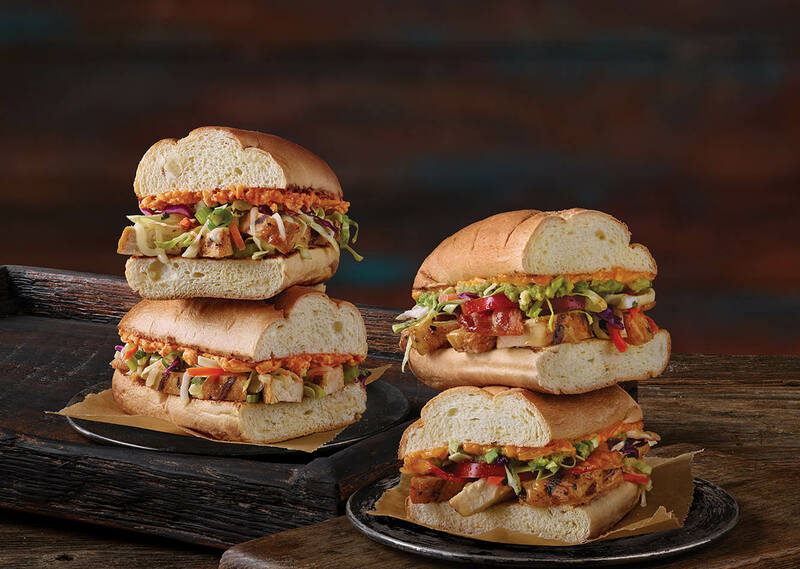 ATLANTA, GA –Further laying claim to the title of America’s “better for you” restaurant option, Tropical Smoothie Café is launching two bold new sandwiches with the Island Buffalo Chicken Sandwich and the Moho Mojo Chicken Club. While initially known for their smoothies, the chain continues to surprise and delight fans with their expanded food offerings. The latest limited time offerings, now available in stores, feature island spice and heat to appeal to guests’ desire for winter warming meals. For the first time ever, Tropical Smoothie Café is partnering with FRANK’S® RedHot® Buffalo Wing Sauce for co-branding efforts to spice up the new Island Buffalo Sandwich. This product features grilled chicken, Mozzarella and Gorgonzola cheese, topped with tangy, house-made slaw tossed in a citrus dressing, and covered in a mouthwatering buffalo cheese spread. The Moho Mojo Chicken Club is served with bacon, avocado, zesty mojo sauce, and topped with a signature slaw to satisfy anyone craving a delicious, full-flavored sandwich. Both sandwiches are served on freshly toasted brioche bread. Founded in 1997, Tropical Smoothie Café is a fast-casual restaurant concept inspiring healthy lifestyles across the country, with over 450 locations nationwide. With snack and meal options for any time of day, Tropical Smoothie Café serves smoothies, salads, tacos, wraps, sandwiches, and flatbreads. The rapidly growing franchise has received numerous accolades including being ranked on Entrepreneur’s 2015 Franchise 500, 2015 Fast Casual Top 100 Movers and Shakers and Nation’s Restaurant News’ 2015 Top 200.Tropical Smoothie Café is seeking qualified franchisees to expand throughout the United States in markets such as Atlanta, Houston, Dallas, Charlotte, Philadelphia and Columbus, Ohio, among others. For more information, visit http://www.TropicalSmoothieFranchise.com.